I'm currently in London (horray!) so this isn't quite a weeks worth of Instagram, but it's not far off. 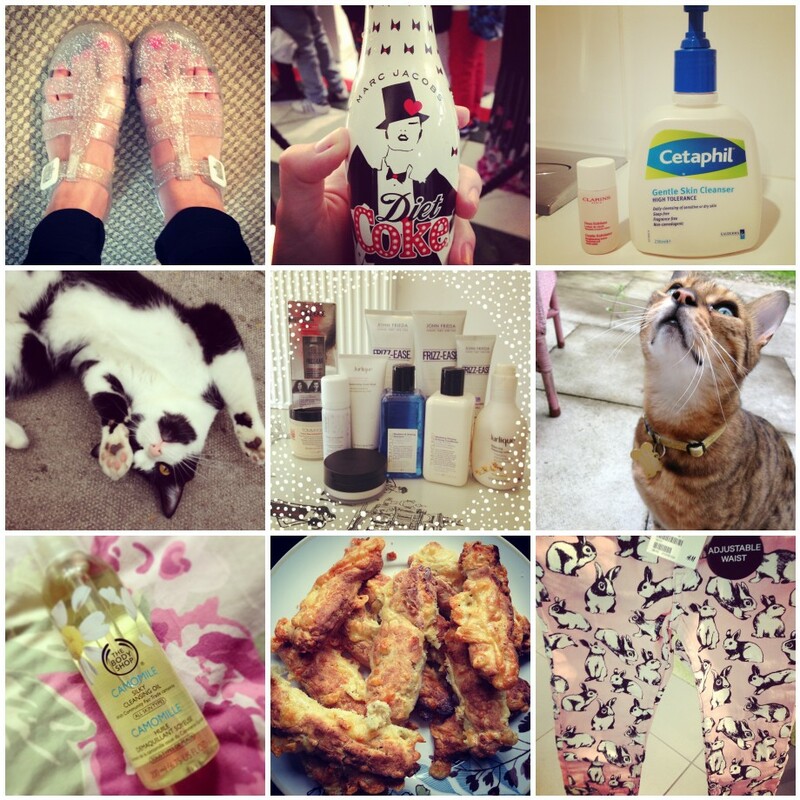 This week has consisted of cats, baking and filling my bathroom with a many Clarins samples as physically possible. I only went in for a sample of the Gentle Brightening Exfoliating Toner and came out with a hand full - FYI Clarins counters are THE best at giving out samples. Anywho..
Just for the record I don't actually own a cat, neither of the cats featured are mine. They just seem to want to come in my house all the time, I'm like the cat whisperer. Love your jelly shoes, they're so cute! When my cats do that i've started to think they are doing their own version of kitty yoga!